The Bristlecone Pine tree species has been recorded as the oldest living individuals on earth, with the Methuselah tree being estimated at 4838 years old. 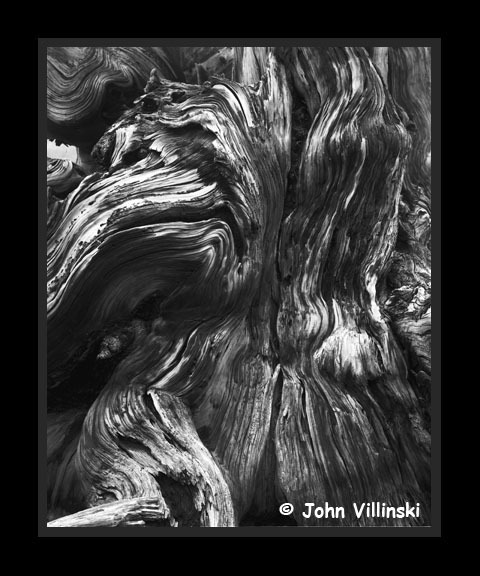 The greatest concentration of these trees are found in the Ancient Bristlecone Pine Forest. Due to its dense resinous nature, the wood remanes for hundreds of years. This bit of wood shows the intricate nature of the trees.